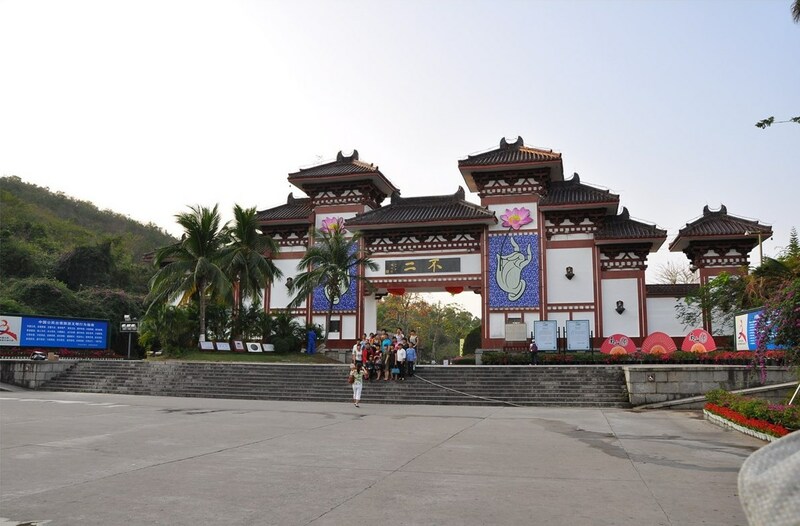 Hainan Nanshan Buddhism culture Park is a Buddhist Park located in the west of Sanya Hainan Island and a must visit tourist attraction in Sanya Hainan Island China. 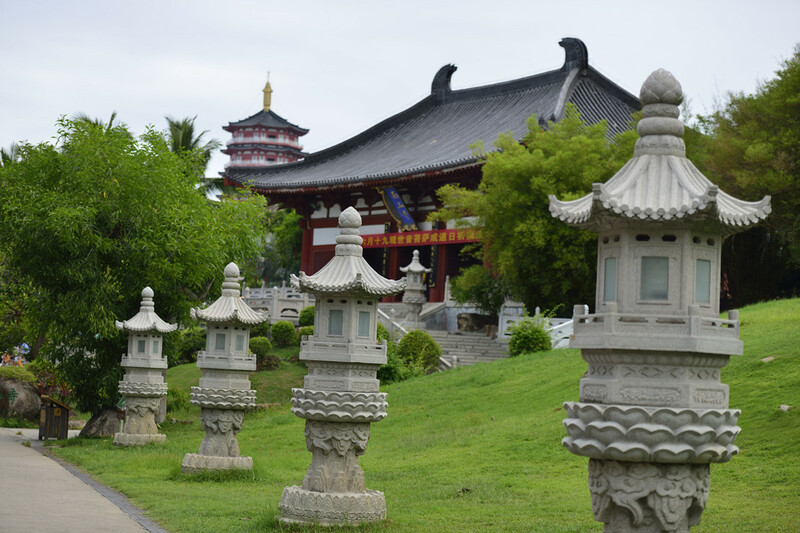 The Nanshan Buddhism culture Park is about one hour drive away from Downtown Sanya, 40 minutes from Sanya Phoenix International Airport, and only 15 minutes from Yazhou Ancient Town. 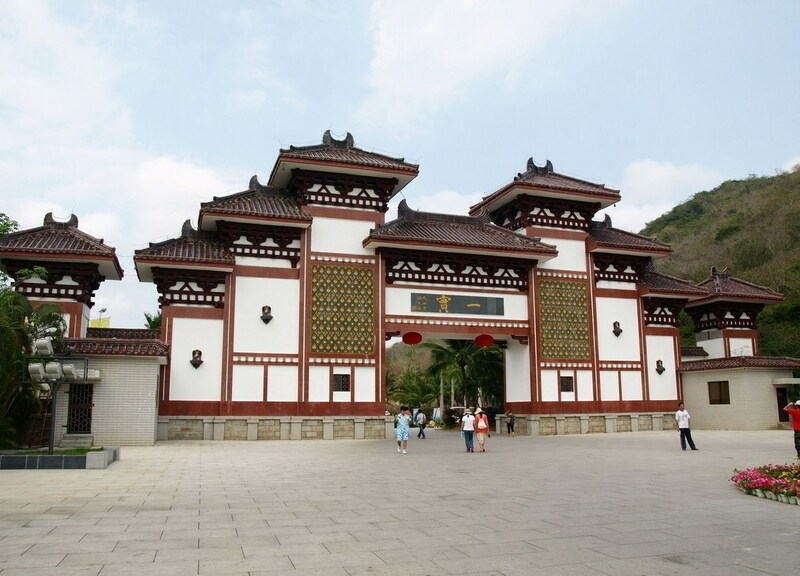 The Nanshan Buddhism Culture Park consists of 3 main parts: The longevity Valley, Nanshan Temple and NanHai Guanyin statue. The Nanshan Temple is the newest temple approved by Chinese government after 1949 when the People’s Republic China was founded. 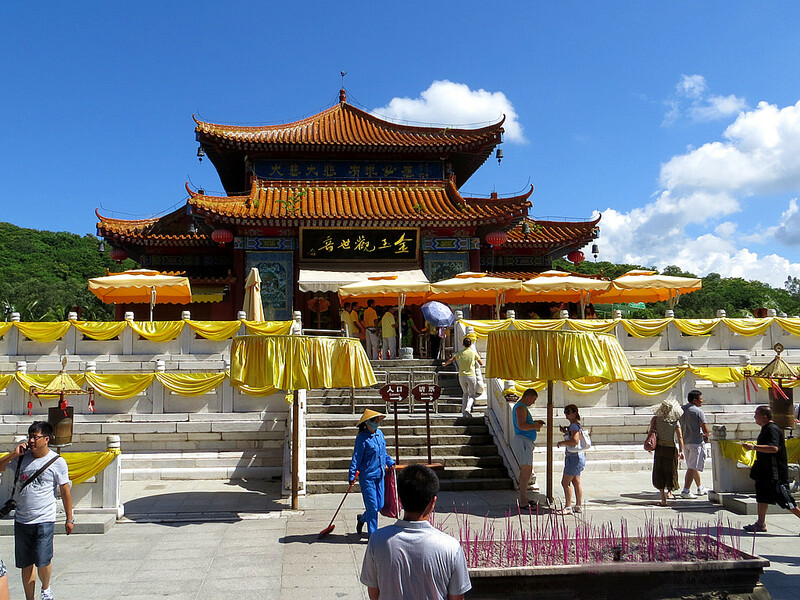 It is next to the ocean and boasts the highest Buddha statue in the world: NanHai Guanyin statue. 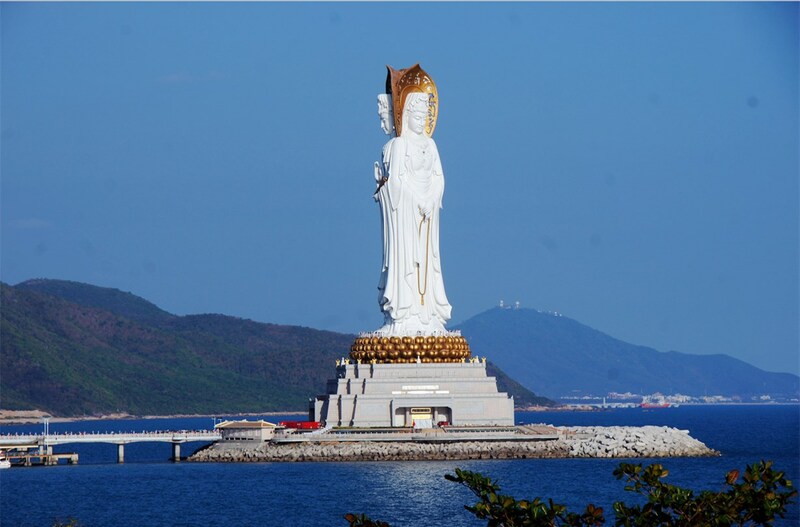 The Guanyin Statue of Hainan, also known as Guan Yin of the South Sea of Sanya, is a 108 metre tall statue of the bodhisattva Guan Yin. The statue has three aspects; one side faces inland and the other two face the South China Sea, to represent blessing and protection by Guanyin of China and the world. One aspect depicts Guanyin cradling a sutra in the left hand and gesturing the Vitarka Mudra with the right, the second with her palms crossed, holding a string of prayer beads, and the third holding a lotus. 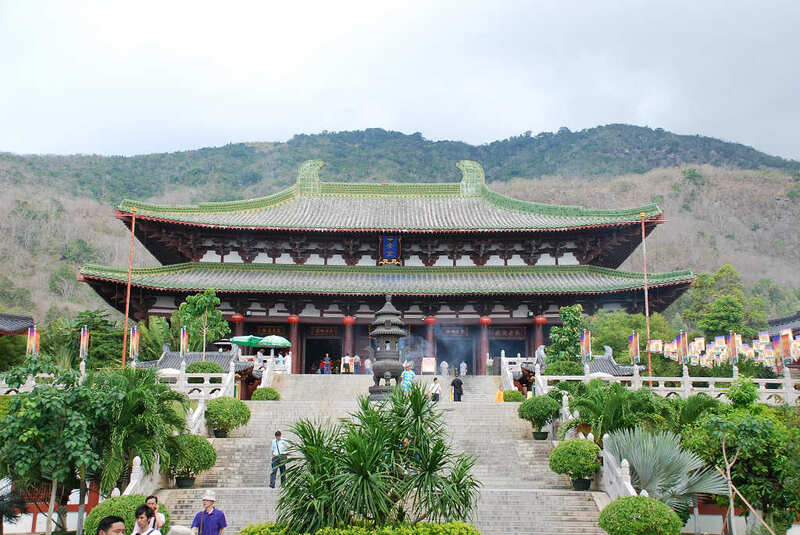 It took six years to build the Guanyin Statue of Hainan, and was enshrined on April 24, 2005, with 108 eminent monks from various Buddhist groups in Taiwan, Hong Kong, Macao and Mainland China, and tens of thousands of pilgrims. The event is one of the biggest event held on Hainan Island since 1988 when the new province was announced the youngest province of China. It is a religious event, but almost all local governments attended this event. 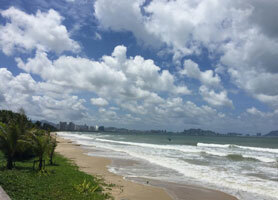 From Haitang Bay, please take bus No. 35 to Sanya Train Station, then take bus No. 25. 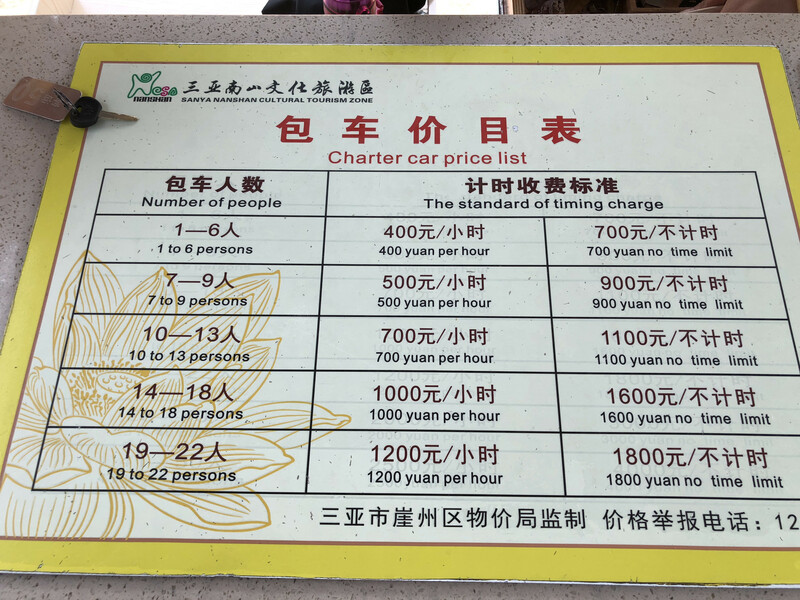 CNY400/hour, or CNY700 with no time limit for up to 6 persons/group； CNY500/hour, or CNY900 with no time limit for up to 9 pax/group；CNY700/hour or CNY1100 with no time limit for up to 13 pax/group. 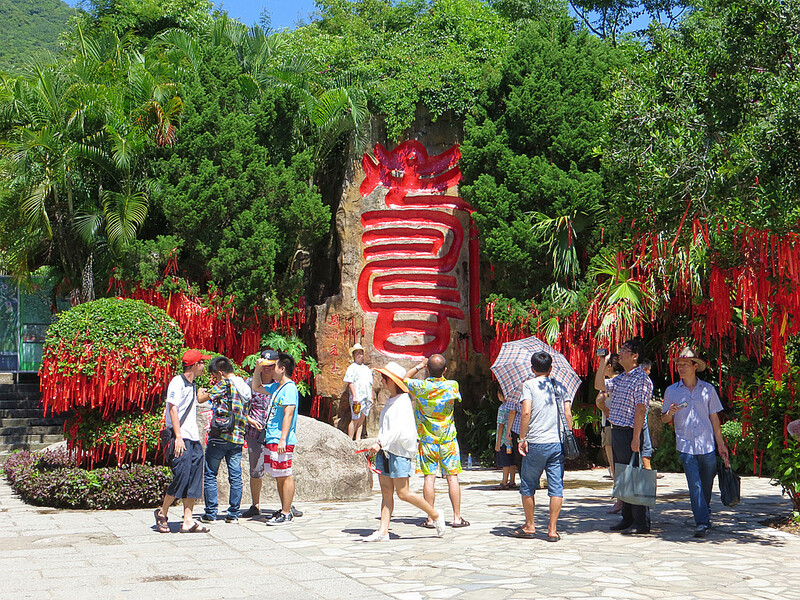 Answer: It will take around 4 hours only to visit NanHai Guanyin statue. 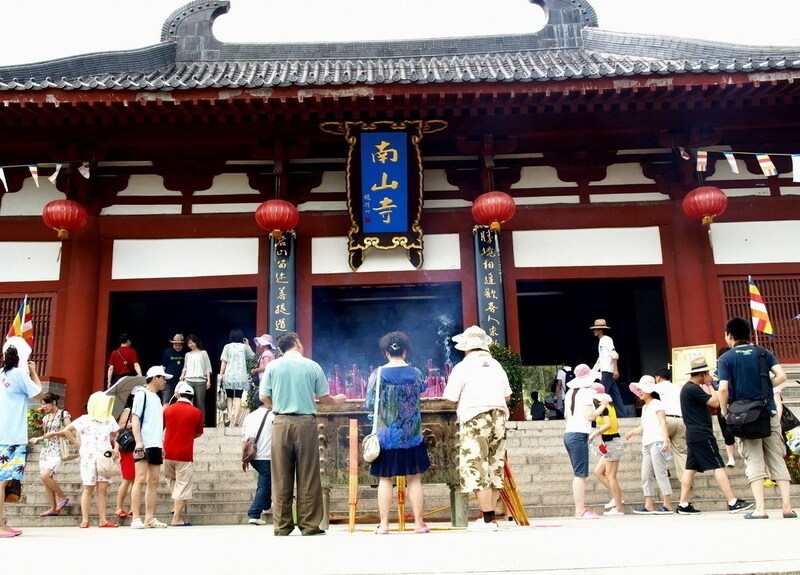 But if you want to visit longevity Valley and Nanshan Temple, it will take you 2 hours more.